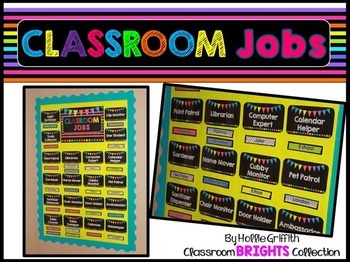 This brightly colored classroom job chart is perfect for managing student jobs. 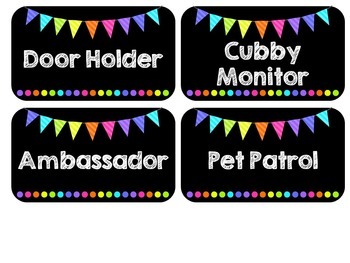 This set comes with an editable PowerPoint file to create additional jobs and edit student names. -Purchase a thick poster board (I got mine at Walmart) and cover it with wrapping paper. -Glue border to the back of the board. -Glue jobs and header to the board. 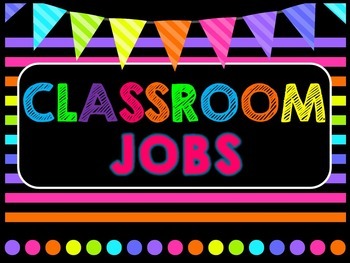 -Use Velcro to move students around the job board each week! 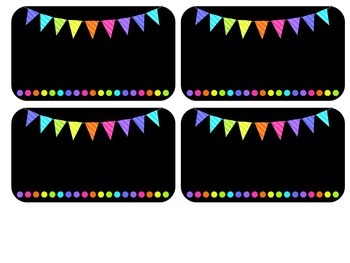 Check out my entire Classroom BRIGHTS Decor Collection. You can save 40% by purchasing the bundle!